It's a day for reflection, isn't it? I participated in the 9/11 Heroes Run 5k on Sunday and posted about the day on my other blog, This Chick Will Run. If you'd like to, please head over that way and check out my recap with pictures. What an amazing photo. Yes. Remember and reminder to be tolerant and compassionate and recognize the heros in our world. What a beautiful post. 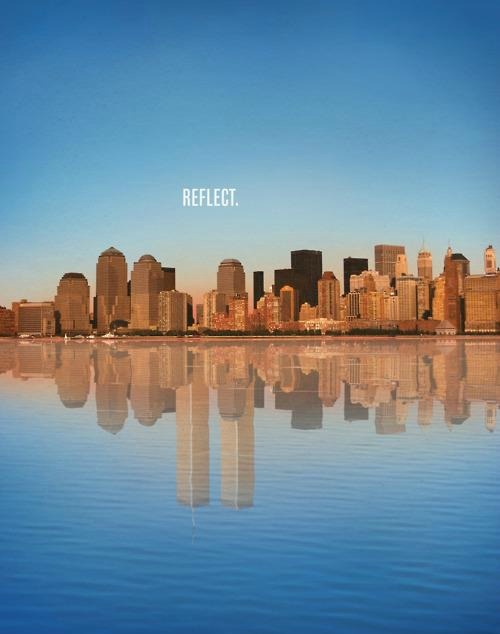 I agree, we should all not only remember, but reflect and recognize. Your image says it all. We will never forget.